Love this book; love Chuck P. Sending to fellow bookcrosser. received this in the mail today. thanks so much rich! i am going to read this as soon as humanly possible. this is a great book! i didn't totally understand the characters really bizarre motivations but the story is fantastic. i think i'll read it again in a few weeks and see what else i can get out of it. This goes to a certain well-loved carbonated beverage when I'm finished reading it! 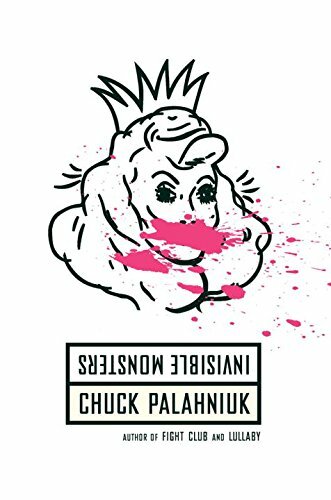 So, as with every Palahniuk book, I thought I had everything figured about halfway through. I had that moment of crystal clarity when it all made sense. And then, of course, he goes and changes the rules, and everything is the opposite of what I had thought. Palahniuk has such a great job of creating characters that are hateful and soulless, and yet somehow he makes me care about what happens to them. Not my favorite of his so far, but still recommended for an eerie, complex read. Received in yesterday's mail...thanks Alice! Now I like weird books, but this one I just couldn't get into. I read about the first third, then I ended up skimming the rest. Since I have to make room in the suitcase for other books, this one is staying behind in London at the local OBCZ.